Spring is coming and I am in the mood to eat lighter and healthier. Here is an easy yummy sandwich recipe that could be served for dinner or lunch. I love the sharpness of the cheese, mixed with rich tuna and crisp, crunchy bread, in this hearty melt, healthy and satisfying. In a large bowl mix your drained can of tuna with your mayonnaise, and sweet relish. Season with salt and pepper to taste. Meanwhile toast your bread in a toaster, set aside. Thinly slice your tomato and cheese. I use two slices of tomato and cheese for each slice of bread. Spoon a large mound of tuna on each slice of bread. Top with cheese and tomato slices. 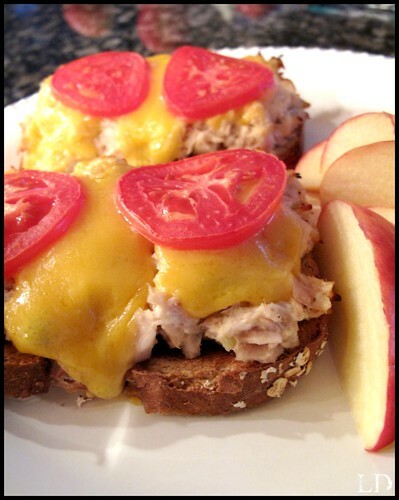 Place your tuna melts on a cookie sheet and broil under a broiler until the cheese is melted and bubbly. Serve hot.